The inverse function f-1 of a given function f(x) is the function that returns the variable taken by the function f. That is if f transforms x into y = f(x), then f-1(y) returns x, i.e f-1(y) = x.
f(x) composed with g(x) leaves x unchanged. f(g(x)) = g(f(x)) = x. Not all functions are invertible, that is have inverse. 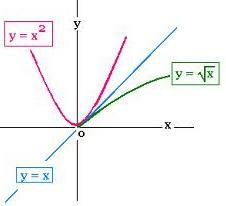 The function f(x) = x2 has the same value yo = f(xo) for two variables + xo and - xo. 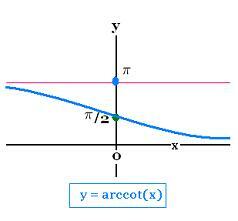 Therefore the inverse function f-1(yo) corresponds to two values in the domain of f: + xo and - xo. Hence f-1(yo) is not a function (just a relation). A function must correspond to no more than one image (y) for each variable (x), which is called one-to-one function. Even if a function f is not one-to-one, it is possible to restrict the domain. For example, the function f(x) = x2 is not one-to-one. By restricting the domain to R+ = [0, +∞[ (non-negative numbers), the function f becomes one-to-one (injective), hence invertible. The sine function is not one-to-one. 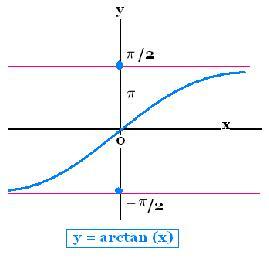 For a value y = sin(x), we have an infinity of related numers, that is x ± 2kπ (for every integer n). However, if we restrict the domain R to just [- π/2, + π/2], the sine becomes is one-to-one, then invertible. 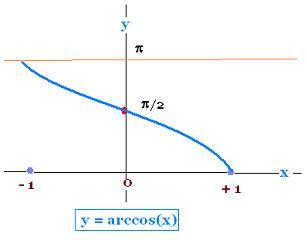 The corresponding inverse function is called arcsine and denoted Arc Sin or Sin-1 . Arc Sin x stands for the arc on the cercle of radius 1, corresponding to a sine equal to 1, measured in radians (or degrees). © Scientificsentence 2010. All rights reserved.